Also find news articles around the time of the flag was produced, information on the protests, why there was protests etc etc. The National Aboriginal flag. (Harold owns the copyright). Northern Territory Chief Ministers Department. 1990, Balance 1990: views, visions, influences, QAG, Brisbane. 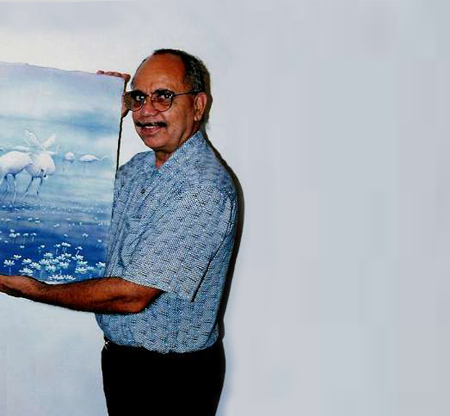 Harold Thomas is a noted Aboriginal activist and artist. One of his best known designs is the Aboriginal Flag. This simple banner represents strength and passion and has become the emblem for Aboriginal Australians. HAROLD THOMAS, ARTIST & DESIGNER OF THE ABORIGINAL FLAG: I was born in a small town called Alice Springs in the late-’40s or mid-’40s. And, uh, it was a beautiful place. But I only spent seven years of my life there and we lived in a segregated area called the Cottages where part-Aboriginals were to live in specially built houses called the Cottages. Whites lived in town. Bush people lived out on the missions and stations. Well, I’m one out of 13 children. And now I have about 22 nieces and nephews, you know, and so forth. But, yeah, we’ve got a big family. But the sad thing about our family, we — we weren’t all housed under the same roof. We were removed as children at different stages. The trauma of that as well as not seeing your mother again, virtually — But I was fortunate — I saw her once later on. But you know, your mother’s love is the first great love that a person can have. First, I was institutionalised in Alice Springs with my sisters. I was fostered at 12 to a white family, a priest, a Church of England person, lovely people, until I was — went to art school from there until I was about 20. I’ve been involved with the stolen generation for the last seven or — well, since it began in the Northern Territory. And that’s an experience, to listen to other people’s hardships. But that’s helped me as well because I’ve never analysed it carefully or in detail, but being with other people who have been removed does help. But, yeah, it’s, uh — it’s an ongoing thing about dealing with that. But it’s not about blame or guilt or anything. It’s about dealing with it, and hopefully, it will help, you know, my family, my children and that to understand what happened to their father. But I made a decision about going to art school, because, I thought, “At least I won’t be on my own, I won’t have non-aboriginals telling me what to do.” As an institutionalised person, that was really hard to come to terms with. But I persevered, and in the end I got my diploma of fine arts. And it was a great experience, because it was during the ’60s, and during the period of change for a lot of young people throughout the world. And if I were to live again, I’d want to, because it was a great time for young people. So it went on from there — it was a sequence of events which led to me being the designer of the Aboriginal flag. When I look carefully at what the Aboriginal flag looks like, it comes from the simplicity and power of Aboriginal art itself. Simple colour, choice of colour, and a simple design. It’s powerful, and the colours are important. And it took some time to think about it — Red ochre, the red soil — the country of Australia is all red. Why I chose the sun? Because it’s another colour that is used commonly in Aboriginal art — yellow ochre. But the sun is a great symbol for all people. When we look carefully at the colour black, which is an interesting one, it’s more of a political inclusion, rather than a spiritual, Aboriginal concept. The black represents the pride of being black in Australia. Because, at the time, black pride came into Australian culture — during the ’60s and ’70s — influenced by Black American pride of their culture. 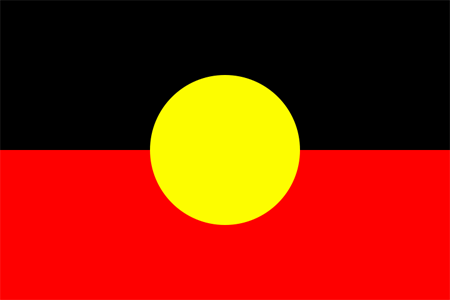 If this is going to be an Aboriginal flag, it has to have black, because it represents the black people of the continent. When we looked back, a lot of people were ashamed of their Aboriginal identity, because of that suppression. Well, the flag kind of helped that. They said, “At least, if I can wear it on myself, wear a T-shirt with it, or the colours, it’s a signal to other people in the community I’m proud I’m Aboriginal, I’m proud to wear the colours.” And that’s important — I like that. Now and again, I see a non-Aboriginal wear it, and that’s even — good too. I enjoy that. It’s not just exclusively Aboriginal. It’s got a life of its own. It’s everywhere. how he lived his life? Pecha Kucha (ペチャクチャ? ), usually pronounced in three syllables like “pe-chak-cha”, is a presentation format in which content can be easily, efficiently and informally shown, usually at a public event designed for that purpose. Under the format, a presenter shows 20 images for 20 seconds apiece, for a total time of 6 minutes, 40 seconds. It was devised in 2003 by Astrid Klein and Mark Dytham of Tokyo’s Klein-Dytham Architecture (KDa), who sought to give young designers a venue to meet, network, and show their work and to attract people to their experimental event space in Roppongi. They devised a format that kept presentations very concise in order to encourage audience attention and increase the number of presenters within the course of one night. They took the name Pecha Kucha from a Japanese term for the sound of conversation (“chit-chat”). Klein and Dytham’s event, called Pecha Kucha Night, has spread virally around the world. More than 170 cities now host such events. My presentation will be a mini version of this taking half the time with half as many slides. You are to take one piece of work and make a presentation about the grouo or individual responsible for producing it. you may base the presentation around the selected work example or extend your research to cover other work by the pracitioner. Your presentation should give a context for the work of the pracitiotioner and some insight into the areas of work they may engage in and why. Please note that your presentation will be assessed at the time of delivery.